Just because it is not glamorous does not mean it is not necessary. How does software and portable toilets work together? As I pursue this business, I learn a great deal about my potential clients. One night at a gathering of the chamber of commerce, I was having drinks when I ran into a fellow who asked me what I did for a living. I told him I was software entrepreneur and that company helped small businesses track fleet maintenance and inventory. He casually asked me to show him my wares and I went through a standard demonstration showing off the general features of my product. He was excited and then gave me his business card and told me to get in touch. He worked for a company that provided porta-potty services for the county. I was a bit shocked at this encounter but it quickly set in that a company that provides portable outhouses for public events needs my services just as much as any trucking company or fleet of vehicles. Merely for health and safety reasons, a company like that needs to keep track of how the units they provide are maintained and kept clean. That was why he was so interested in our Tony software. We offered an economical means to track how he took care of his units and if they were safe for the public. Tony allows a company like that to track how long a unit has been out in the field. A company can track when the bio-blue fluid was changed in a unit and it can even send reminders via e-mail to make sure that this kind of maintenance is done. You can also use that information to coordinate with insurance companies and health care departments to get favorable treatment and better insurance rates. 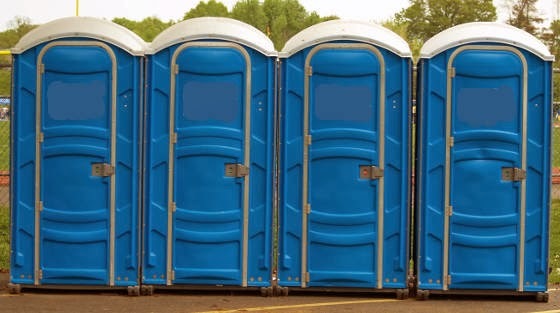 So using Tony software for your Porta-Potty business makes sense. We have been receiving inquiries for many kinds of businesses we did not expect to use our service. Agriculture companies want to know if our software can use it to track hours of operation for farming equipment. We have been hearing from school bus services and now porta-potty companies. It seems that our software helps fill a niche. This got me thinking that as technology grows into the economy and becomes a necessary tool than any kind of business could use our software. That fits in with our vision of E3 systems as we try to better help small and medium sized business use their money more wisely. Contact us today and see how we can help. Porta-Potties are not glamorous but are necessary. If you have ever been on the search for one at a street festival or athletic event then you understand why. Our software is not glamorous either but we feel it is necessary if you want your business to succeed. Cabin Fever and Auto Show Trends. along with four wheel drive. All work and no play makes for a dull entrepreneur and that was me before I decided to take a trip to the Chicago Auto Show this weekend. There were plenty of vehicles to try out and see. I was also deeply impressed with the amount of affordable hybrid cars at the show. However, what I noticed is that automobiles are becoming more connected and that means that software developers need to pay attention to how cars and software interact. This means for a small and medium sized business must pay attention to the car and mobile device interface. This week on the blog, I want to discuss how the future plays out in your new cars. This winter in Chicago has been very hard with alternating sub-zero temperatures and snow during the last eight weeks. Confronted with cabin fever, I attended the Chicago Auto Show. Instead of going to the luxury cars and concept vehicles, I spent time looking at delivery vans, hybrid cars, and standard passenger vehicles to see what the latest trend were. It was clear that the smart phone revolution has now joined the automotive industry. When I viewed cars from Ford, Kia, Chrysler, Honda, and Mini all of them featured means to charge mobile devices and display information on a communal screen. Even the working man’s stand-by, the Ford F-150 USB plugs for your smart phone. This tells me that the mobile revolution which I am part of is not going to stop. If automakers consider it a requirement to accommodate ways to charge and communicate with smart devices then you as a business person need to accommodate those tools into how you manage your business. I had a great time and received a chance to meet the people at Connected World at the show. I spent some time with their staff and it is clear that we have a shared goal and that is to understand how mobile technologies interact with homes and cars. At E3 systems we want to help you manage your small business better with mobile applications and tools to make your life easier. Contact us today to learn more. Cabin fever got me to the auto show but once there I was inspired because if the automakers of the world are on to something then I know that a small entrepreneur like me must also be riding the same wave. It is funny sometimes how social media works. On a whim during my lunch hour, I got on Twitter and posted a bit of technology wisdom in less than 140 characters and received a pretty strong reaction of support. This week on the blog I wanted to expound on that and tell you why you might be looking at technology incorrectly. I have spent over fifteen years of my professional life as a software developer and technology consultant. In that time, I have seen first-hand how many times companies have used technology to paper over a broken process. Accounts payable are not being taken care of in a timely manner so an automated system is put into place. Inventory control is not being managed correctly so a fancy ERP system is installed. Finally, web sites are used as substitutes for real marketing and face to face interaction with customers. Through it all, I have shaken my head in disbelief and cashed the checks of people willing to pay me. I suspect that is because many business people understand their business but do not understand technology. It is also clear that they don’t understand all the work that goes into a professional web site or piece of software. They just think it is magic. They turn on a computer or open a web browser and instantly it works bringing customers to their business and managing the tedious parts of their job. The reality is very different. Technology makes managing your business easier but it does not replace the difficult decisions that a business person has to make. Poor employees will need to be fired. Bills will have to be paid on time. Finally, you will have to interact with customers. This may not seem like news to many people but it consistently surprises me that how many business professionals just think that technology should “just work” when they do not understand how it should just work. For instance, if you have an accounts payable system, which accounts should the system debit the checks. If one of this accounts doesn’t have enough money how do you prioritize which bills get paid? Finally, do you pay bills electronically or do you print checks and then send them out in the mail? All of these are important questions and a business person needs to know the answers before a technology person can create a system to manage it. I suppose, I am a bit jaded from my years of experience. One of the reasons I founded E3 systems was so I could help businesses solve problems with technology instead of using technology as an excuse to ignore those problems. Contact us today to find out more. Technology is not some kind of magic. Technology is a tool for helping you generate profit and meeting the needs of your customers. By better understanding your business, you can make technology an ally instead of an excuse. Life lessons in Business and Football. This week was the Big Game. I get together with family and spend time binging on food that is no good for me. I watch the game and live tweet it for the fun and entertainment of my friends. One of the things that strikes me about the event is that these teams have reached the biggest event in the sport and for a casual football fan like myself, I do not know the players on either team except for Peyton Manning. This tells me that football excellence depends on many people working well together instead of superstars condescending to get something done. 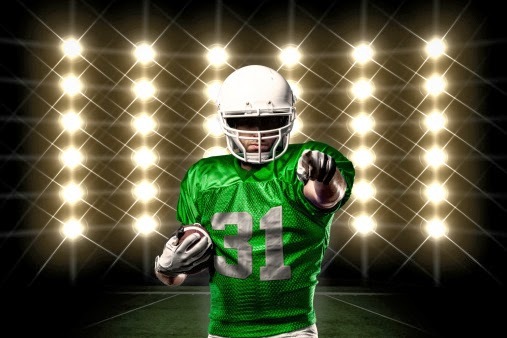 This week on the blog some lessons I have learned about being a small business I received from a professional football. The biggest lesson I have learned is that no one person is bigger that the team. Peyton Manning may be the sole superstar who I know in the Big Game but he did not get to the championship solely by himself. He needed offensive linemen to prevent big angry linemen from stomping on his neck. He needed receivers who could catch the big passes when he needed them. Finally, he needed defensive players who could force the opposing team off the field in three downs. Without that he would go another season being unfavorably compared to his brother who owns two championships to his one. Next leadership matters. When Peyton joined the Bronco’s he took charge of how the team practices offense and even when it practices. Since he has a track record of success, the others on the team quickly adopted his methods and the team went from mediocre to playoff caliber. This leadership on the part of Manning and the ownership of the team made a huge difference. I think the final lesson I learned during this football season is that a bunch of no-name players working well together are better that superstars. The Seattle Seahawks with the exception of Richard Sherman seem like a quiet and hardworking bunch of guys. They do not care about their no-name quarterback or if they do not have stars on the field but together they are a defensive powerhouse. As someone who grew up with the 1985 Chicago Bears and the Superbowl Shuffle, I can relate to this group of guys. So, for me, the lesson of this weekend is that teammates matter, superstars are over rated and that leadership whether it comes from a quarterback or a coach is essential to success. We at E3 systems would love to help make your business more successful so contact us today and ask us how we can help. It is going to be sad when football season ends tonight but when all the dust settles on Monday rest assured that we can all learn some lessons from football.